The M.Sc. 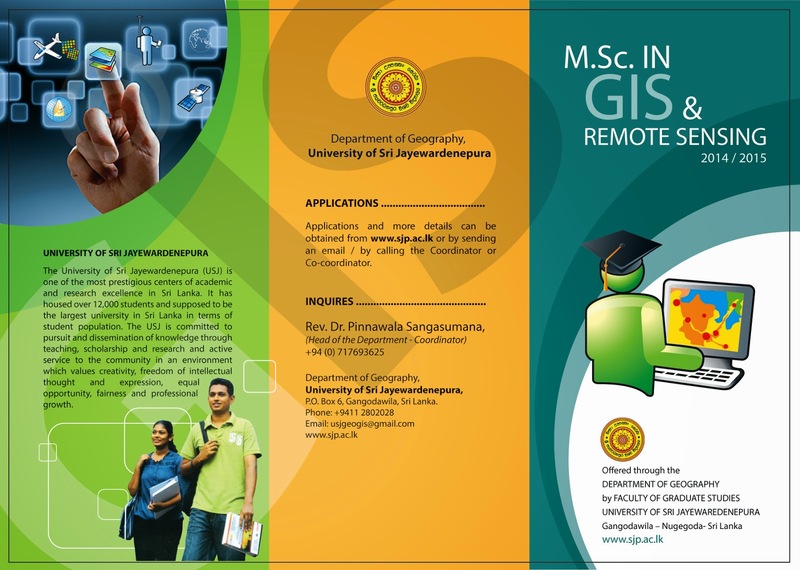 programme in GIS and Remote Sensing offered through the Department of Geography by the Faculty of Graduate Studies of University of Sri Jayewardenepura, seeks to provide a sound theoretical and practical knowledge in the latest Geographic lnfo4rnation technologies. related state of the art technologies. In this highly interdisciplinary Masters course, the students will be exposed to the cutting edge of understanding from a range of subject areas, taught by well experienced, highly qualified, versatile and diverse academic staff. The course particularly focuses on conveying new approaches to data processing, analysis and interpretation as well as the use of innovative technologies. This is a weekend course, taught over 02 years, and running into four semesters. During the first three semesters, students will establish a breadth of necessary skills in a number of core modules worth a total of 42 credits. In the last semester, the learning will be applied in the individual dissertation worth an additional 18 credits. 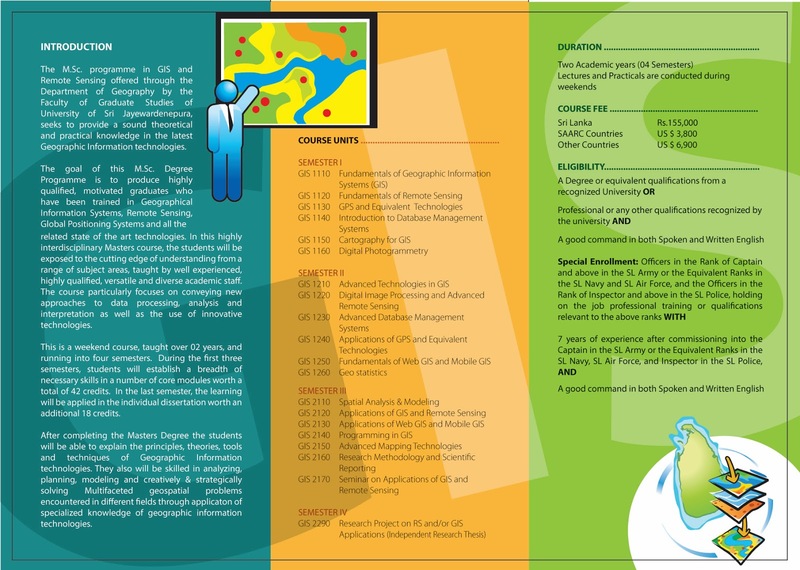 After completing the Masters Degree the students will be able to explain the principles, theories, tools and techniques of Geographic Information technologies. They also will be skilled in analyzing, planning, modeling and creatively & strategically solving Multifaceted geospatial problems encountered in different fields through applicaton of specialized knowledge of geographic information technologies. RO. Box 6. Gangodawila, Sri Lanka.